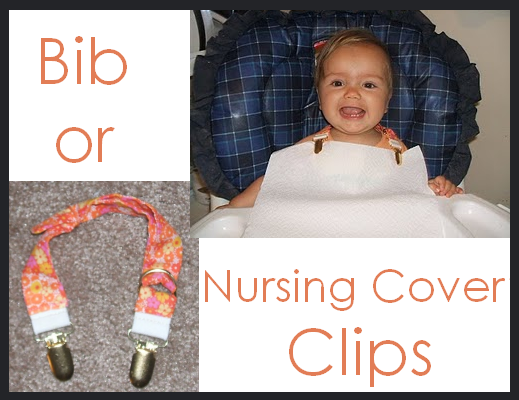 Bib/Nursing Cover Clips - Peek-a-Boo Pages - Patterns, Fabric & More! Bonus- you don’t have to cart home a nasty bib. They also work great for turning any blanket into a nursing cover. 1. Decide how long you want your bib to be. If you don’t ever want to use it as a nursing cover- I would make it a bit shorter than mine- maybe use a 12″ piece of fabric. Make sure you cut the fabric wide enough that after you’ve sewn it together it will slip over the suspender clips. 2. 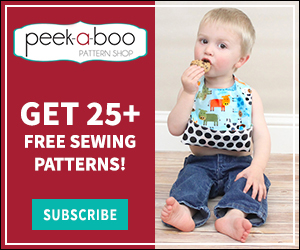 Fold your fabric right sides together and sew shut. Cut off a 2.5″ section. You should now have 2 fabric tubes- one short and one long. 3. Turn your tubes right sides out. For the long one I used a crochet hook to shove it through. 4. Cut your suspender clips in half. Tuck the raw edge under on your long tube and slip it over a suspender clip. Topstitch down. 5. Tuck the raw edge under and slip it over your other suspender clip. Slip the D-rings onto the strap then topstitch both ends onto the suspender clip. 5. Feed the long end through the D-rings and you’re done! I used the tiny hair tie to secure the loose tail. This is a such a good idea! I wish I would have had some of these when my kids were babies! 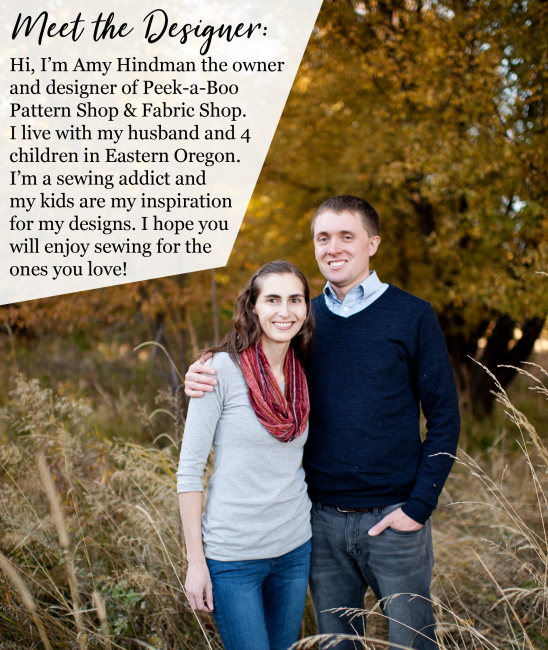 I am highlighting these at somedaycrafts.blogspot.com. Grab my “featured” button.